Mood Kit offers professional psychology tips and tools for everyday life to help improve mood and overall well-being. Happify is a mental health app that provides effective tools and programing to help take control of emotional well-being. It helps combat stress, anxiety, depression, and constant negative thoughts. 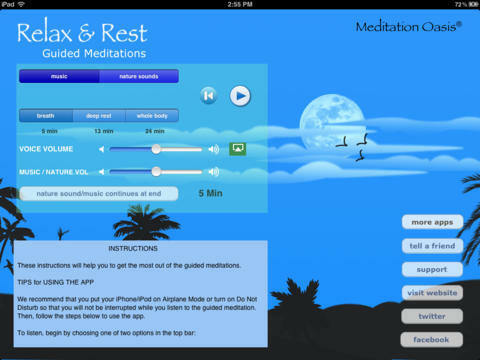 This app is the most popular free meditation app in the Apple store. It has a timer with a pleasant chime, which can be used for silent or guided meditation. Insight Timer has more than 5,000 guided meditations from some of the world’s best meditation teachers. There is also a support group feature for those who want to be part of a meditation community. This mental wellness app provides users with psychologist-designed tools to address stress, anxiety, and depression based on Cognitive Behavioral Therapy, mindfulness meditation, relaxation, and mood/health tracking. It offers a user-friendly way to monitor emotions and can be a great adjunct to counseling or helpful on its own. This app offers a structured plan for new runners to gradually build strength and stamina. C25K is great for those who like a tailored running plan that does not require a personal trainer or running group. This meditation app is perfect to help individuals and couples mentally and emotionally prepare for having a baby and becoming a new parent. Mind the Bump helps users to reconnect with their partner and focus on one’s changing body throughout pregnancy. This weight-loss app is ideal for individuals who want to lose weight with the help of a free coach and a supportive community. 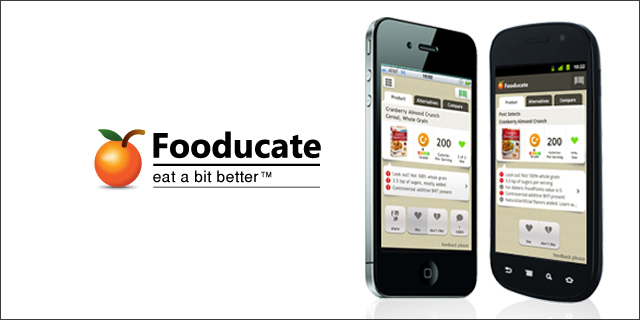 Fooducate allows users to track food intake and mood. This app improves memory and attention through comprehensive brain training. Lumosity is great to use when you are traveling or have some time to kill, and it helps to strengthen the power of the brain with fun and engaging games. This meditation app offers three programs of varying lengths (breath, deep rest, whole body), which allow the listener to relax deeply regardless of how much time the user has to meditate. The calming voice and music can help to put someone with sleeping difficulties into a deep sleep, and help reduce anxiety. This family organization app’s features include a shared calendar, shopping lists, and to-do lists that everyone in the family can access on the go. For the past three years, KGA, a New England-based EAP provider has tested and released an annual list of “Top 10 Well-being Apps.” Although initially designed to put the right app in the hands of EA counselors, KGA’s app project has proven to be an effective way to build awareness of EAP services and improve engagement. Overall app usage is rapidly expanding across the globe with an estimated mobile app market reaching $189 billion by 2020. A total of 259,000 mobile health apps were produced in 2016 (Sarasohn-Kahn, 2016). Clinical health apps are also increasing in numbers, although some app companies have folded due to the financial pressures of performing scientifically valid clinical trials. Such rapid growth has made the selection of which apps to recommend confusing. Paid apps are losing in popularity but still have value to EAPs, particularly when they are proven to be effective. However, overall, trends are showing that the app market will continue to generate increasing revenue in the foreseeable future (Golmack, 2017). KGA wanted to reach out to their covered lives through a proactive health promotion program to identify apps that could complement KGA’s high-touch EAP product. Leadership also wanted to ensure that counselors were recommending high-quality downloads. All of the 250 behavioral health apps evaluated and recommended are available on iOS and Android. KGA focused their selection process on free or low-cost apps by reviewing customer reviews, ratings, popularity, and history of updates. Various criteria were used to shorten the list to 35 apps that clients could use as an adjunct to counseling. For example, the apps were each tested by counselors and work-life specialists to confirm their reliability, simplicity, and efficiency, as well as their overall aesthetics. They particularly focused on the efficacy of the apps, especially for severe stress, anxiety, and sleep deprivation. Counselors were asked to comment on the particular apps they tested. Some apps didn’t make the cut for clinical reasons. For example, the counselors liked the “7 Minute Workout” app, but found that the photographs of the exercise models showed bodies that were unrealistically perfect, thin, and muscular. Since the “10 Best Apps” list is available to the public, counselors worried that the app would be body-shaming to its users. The mobile health app industry continues to grow. When used in combination with EAP counseling, apps can provide both useful information and motivation. “In a way, apps and web pages have replaced our traditional tip sheets,” states Kristin Matthews, Clinical Manager at KGA. “This is a fabulous way to reach our younger population,” noted one HR client. Kathleen Greer is founder and chairman of the Framingham, Mass.-based KGA, Inc., which provides EAP services to over 100 organizations. Kathy can be reached at greer@kgreer.com.